Our Pro-Clean Basics Microfiber rags are the ultimate low-cost cleaning solution for industrial and commercial applications. 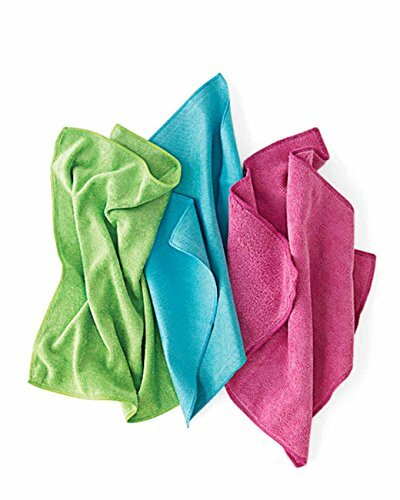 Microfiber material is Lint-free, Super absorbent, and extremely durable! these rags come in mixed sizes and colors. The minimum size per package is 10in x 10in. Try them now. View More In Dust Cloths. If you have any questions about this product by Pro-Clean Basics, contact us by completing and submitting the form below. If you are looking for a specif part number, please include it with your message. Microfiber Glass Cleaning Cloth Pallet, 16" x 16"
Pro-Clean Basics A95013 Microfiber General Purpose Cleaning Cloth Pallet, Light Weight, 16" x 16"
Pro-Clean Basics A95014 Microfiber General Purpose Cleaning Cloth Pallet, Heavy Weight, 12" x 12"
Kitchen Basics A95009 White Terry 28 oz. Bar Mop Pallet, 16" x 19"
Ribbed Microfiber Bar Mop Pallet, 15" x 18"